As if a jewelry collection, footwear and handbag lines, sportswear, dresses, suits, suit seperates, sleepwear, activewear, jeanswear and intimates weren't enough, Ivanka Trump thinks it's the perfect time to step foot into the fragrance arena. “I think of fragrance as such a strategically important category and wanted to wait to make sure retailers understood what I stood for, and the customer understood what the brand represented because there’s a lot of noise in that category,” said the 30-year-old career woman and mother of a 15-month-old daughter. 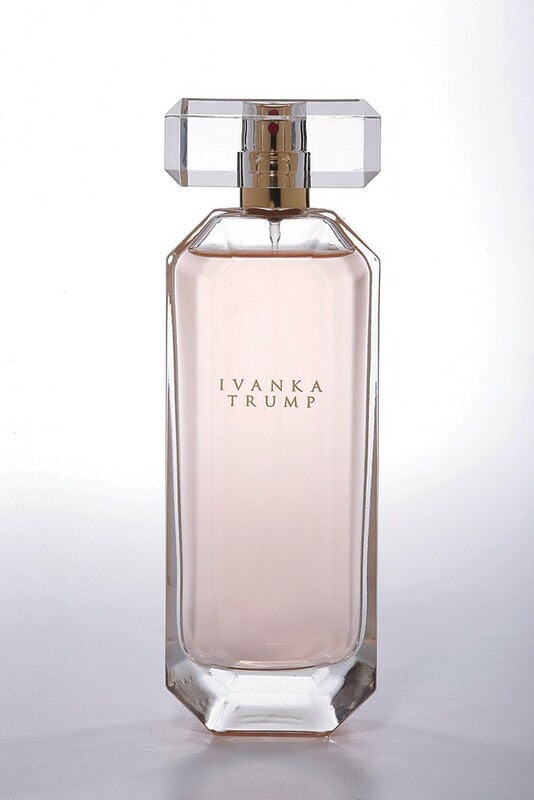 Trump's first eau de parfum, a deal signed with Parlux Fragrances Inc., is called Ivanka Trump, and will be hitting fragrance counters next week! The scent is made up of a floral oriental opening with a blend of sparkling Italian bergamot, lush apple and pink pepper. The middle notes consist of jasmine, rose and peach blossom to add lushness. The base includes golden amber, creamy vanilla, patchouli and smooth cedarwood, the perfect mis to add just a 'kick'.